In Ilorin, reactions trail senator Saraki’s win at Supreme Court – Royal Times of Nigeria. The All Progressives Congress in Kwara State has hailed the judicial arm of government as the Supreme Court has finally laid to rest the trial of a Senate President, Dr. Bukola Saraki, on assets declaration and sundry charges instituted against him before the Code of Conduct Tribunal. In a press statement issued today by its publicity secretary, Alhaji Sulyman Buhari, the party described the judgement as victory for democracy and landmark verdict on the incorruptible credentials of the Senate President. 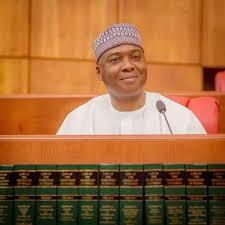 While recalling that the torturous political persecution of their leader, Dr. Abubakar Bukola Saraki began in 2015 because he dared to contest for the position of Senate President against the desires of some political leaders in the All Progressives Congress,the party however commended all lovers of democracy and believers of rule of law for standing on the side of rule of law and democracy during the political persecution period. Similarly, the Nigeria Judiciary system has been lauded for its recent performances in protecting and interpreting the laws appropriately, especially the Supreme Court judges which upheld the appeal of the Senate President Bukola Saraki, regarding the Code of Conduct Tribunal case.The Apex was also commended for standing by the truth in its decision making. A Chieftain of the faction of the All Progressives Congress known as R-APC, Alhaji Abubakar Kawu Baraje, gave the commendation in a statement issued from his media office in Ilorin while reacting to the landmark ruling of the Nigeria’s Supreme Court where it discharged Senate President, freeing him of all corruption charges brought against him at the Code of Conduct Tribunal (CCT) by the APC led Federal Government. Alhaji Baraje noted that the ruling of the apex court in upholding the decision of the Court of Appeal has also vindicated Doctor Saraki, saying that the decision has put his enemies on shame. Police confirm four dead in Adamawa mob attack.